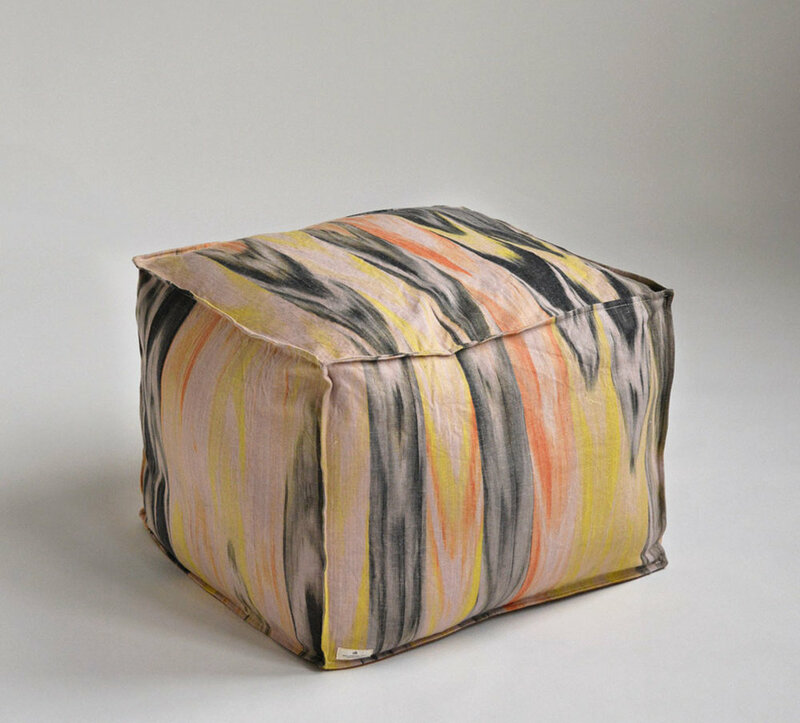 A soft, comfortable, and well-proportioned ottoman. Group together to create a casual intimate seating area, use one as an accent piece, or pair with a Lounger or Low Seat. Artisan-dyed and woven in Mallorca, Spain. Designed, sewn, and assembled in San Francisco, California. 30% Linen and 70% cotton Ikat cover. If not in stock, Ikat items are made to order. Please allow 2-5 weeks production time. International shipping available, please inquire.